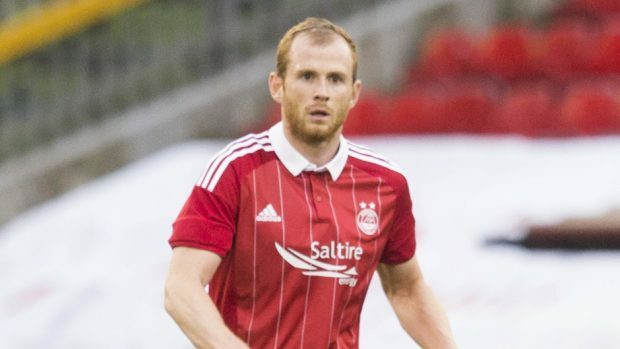 Aberdeen defender Mark Reynolds believes the Dons have received a major boost by keeping hold of Jonny Hayes for the rest of the season. Cardiff City made three offers for the Irish international which all failed to meet Aberdeen’s valuation for the 29-year-old. Reynolds feels the Dons’ prospects of achieving a third successive runners-up finish would have been severely dented if the midfielder, who has netted six goals and created 14 assists in 26 appearances this term, departed for the English Championship club. He said: “It was massive for us. You want to keep all your big players – all those who can win you games and Jonny is certainly one that’s done that. “We’ve got a few boys in the team who are all hot property, who do well for us and could do well for a number of teams. “It’s great that we’ve managed to keep the nucleus of the squad. “I don’t think anyone has really come knocking for our players over the last few years but there was interest in Jonny through the whole window. “It was a ‘will he? won’t he?’ situation but it’s massive for us that we’ve managed to keep one of our most creative players. The Dons suffered a 24th successive league defeat at Celtic Park on Wednesday night with a Dedryck Boyata header enough to give the Hoops victory. Brendan Rodgers’ players have taken 67 points from a possible 69 this term with a 2-2 draw at Caley Thistle the only blip in an otherwise perfect campaign so far. Reynolds added: “I think Celtic look as good as they have been for a good number of years. “Brendan Rodgers has come in and done a great job and maybe taken them to another level. “You see the run they are on – still undefeated in the league. There’s not many teams do that in the world. They are certainly a very good team with very good players. “You know, going to Celtic Park, if you give them that half chance it can be the difference between getting a point and coming away with nothing. “We went there with a plan to win the game.